Pink Crystal Coin Piggy Bank - It's A Girl! Top » Catalog » Gifts & Accessories » Baby Collection » Pink Crystal Coin Piggy Bank - It's A Girl! Anthony David Pink Piggy Bank with Swarovski Crystal - It's A Girl! 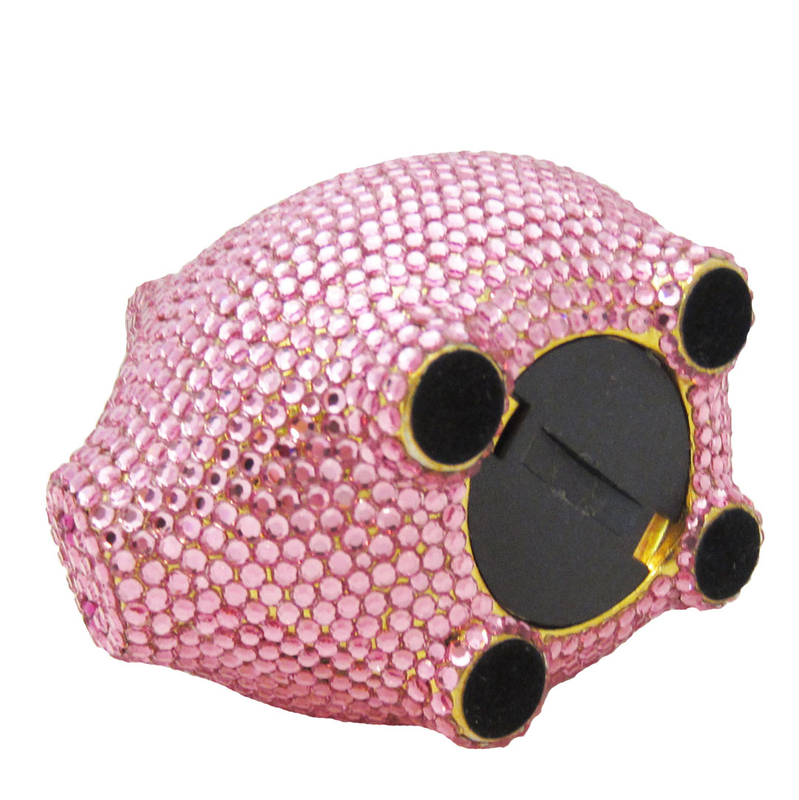 This adorable Anthony David pink coin piggy bank has a gold metal body and is covered with light pink Swarovski crystals. It is simply adorable and makes a luxurious baby gift! Light pink colored Swarovski crystals. Perfect for the new baby. Storage box and travel pouch included. 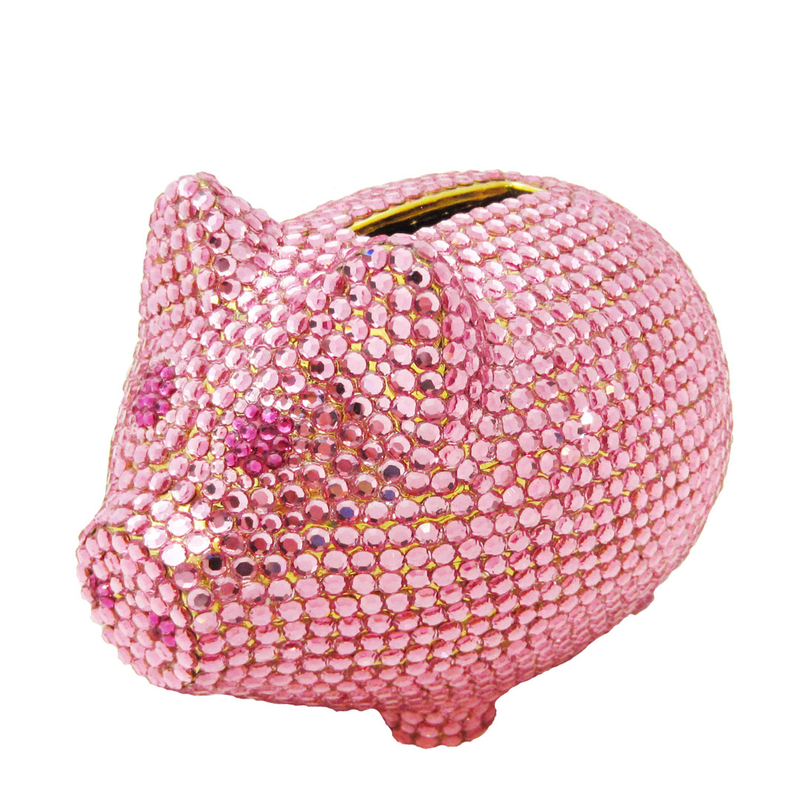 Anthony David Swarovski crystal piggy banks are available In many other colors and styles. See items similar to the Pink Crystal Coin Piggy Bank - It's A Girl! This crystal piggy bank comes in other colors. Currently viewing: Pink Crystal Coin Piggy Bank - It's A Girl!